Keeping personal data safe has always been a big task for Android users for a long time. 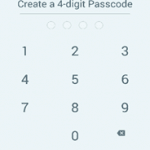 The most viable solution to keep your data safe on your Android is to keep them protected with passcodes. To do this, Systweak Software has offered one amazing app called Secret Photo Vault. This is an impressive app that helps you protect your personal data from prying eyes and curious onlookers. It is designed using the state-of-the-art technology to keep all your private and important data secretively. It offers dual-password protection security to your photos & videos to keep your private files intact. It offers various other useful features as well. Let’s discuss some of these features in this review. Passcode & Fingerprint unlock features. It doesn’t store your data on its servers. 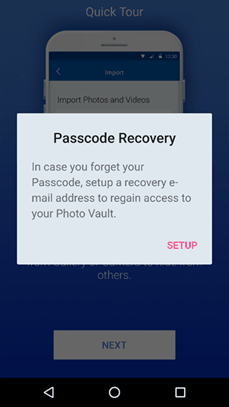 Secure photos & videos within the app: You can save all your photos & videos within the app with password protection. The app allows you to remove all your data from original location when you move it to the app. Thus, no one can access your data without a passcode. 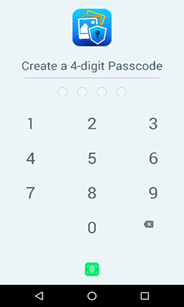 Dual-password protection: Using the app, you can secure all your data with a master passcode. 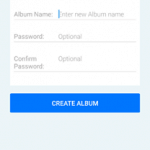 Further, you can protect your albums within the app with a separate passcode. This is a useful feature to keep your data intact. Fingerprint Unlock: Apart from passcode or PIN, it allows you to place fingerprint protection to unlock the app. This feature is accessible on fingerprint lock supported devices. Local Storage: App stores all your data on your local storage space on your device only. It doesn’t store your data on its servers. Thus, your data remain secure within your reach. 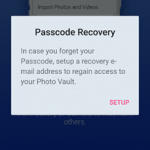 Password Recovery: App offers password recovery option where it sends your password information to your registered email address. It is useful in case you forget or lost your password. Stealth Mode: App works on stealth mode, where you can’t access the app activities in recent tasks. It is an additional security feature to keep your data safe. 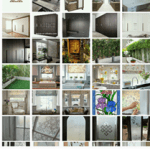 Photo Management: App offers various photo management features to keep your data organized. 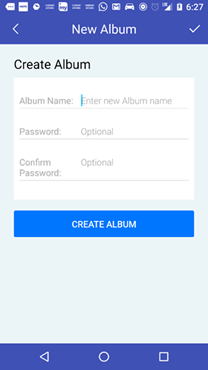 Using the app, you can import or export files from gallery, directly click photos or videos from the camera within the app, create numerous photo albums within the app, copy hidden photos to other albums, email images and do much more. Photo Viewing: App allows you to delete or email photos, view them in slideshow, save images in the app directly and do much more. Video Support: App offers video support where you can shoot video directly from the camera within the app. Further, you can import or export videos from gallery and watch videos within the app itself. 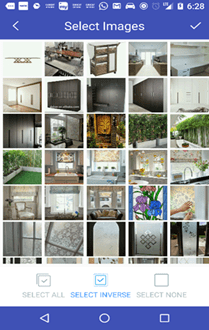 Conclusion: Secret Photo Vault is a state-of-the-art tool which is designed to keep your data security in mind. It offers numerous useful features to keep your private and important photos & videos safe from prying eyes and possible data breach. Once you install this app, it gives you complete control over your private data stored within the app. Further, using this app, no one can access your data without password or fingerprint lock. This app offers all competitive features to prove to be the best security app for your photos & videos.